Now, let me brief you on all the above-mentioned documents. The 16-digit Permanent Account Number is linked to GST registration. It is mandatorily required for the registration purpose. The applicant is also required to submit a proof that the business has been legally registered. He can also submit the incorporation certificate as a proof of registration. The same has to be done for all entities. However, in case of proprietors, there is no requirement to submit this document. In case of a partnership firm, the partnership deed must be submitted. Latest property tax receipt/Municipal khata copy/Electricity bill for own premises. Rental agreement with supporting documents for rented or premises taken on lease. The documents/certificates issued by the Government for Special Economic Zones (SEZs). A copy of the consent letter of the owner of the premises with supporting documents in all other cases. The promoters like proprietor, karta, partner, director or any authorized person are required to submit Aadhaar, PAN, Voter ID, Ration Card, etc. as an Identity proof and Aadhaar, Voter ID, Ration Card, etc. as an address proof. 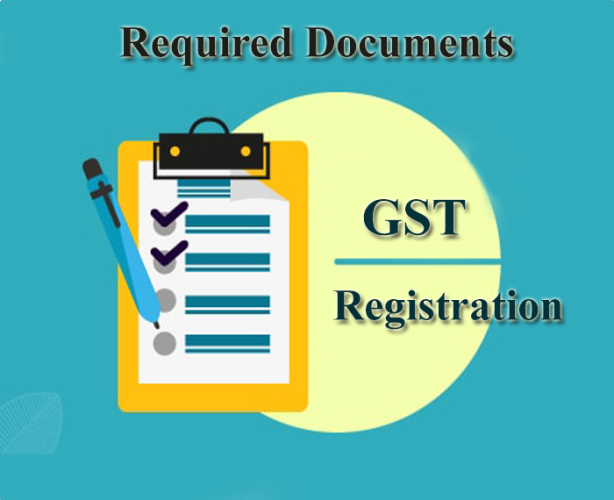 A copy of the bank statement is also required for GST registration. The applicant may submit a scanned copy of the first page of bank passbook or a cancelled cheque having details like Name of the entity, Bank Account Number, MICR, IFSC Code & Branch Code. The GST application must be digitally signed with Class 2 digital signature. This is another important document for the purpose of GST registration.